The ‘Liebknecht Portal’, which was integrated into the GDR’s State Council Building, fulfilled a dual function for the self-conception of the state: it was simultaneously a trophy of victory over the old Hohenzollern monarchy and a memorial to the socialist revolution. Standing on the balcony of the portal on 9 November 1918, Karl Liebknecht had proclaimed the Council Republic; when the City Palace was torn down in 1950, the baroque gateway was saved, in order to rebuild it as a symbol of the anticipated founding of the state at the moment of triumph over imperialism, militarism and fascism. The more harmonious the narrative, the more disruptive the incongruous details: where exactly was Liebknecht standing when he proclaimed the republic? How could public enemy number one even succeed in gaining access to this most sacred imperial refuge? And who, more than thirty years later, arranged for the building component to be removed from the ruins, which were ready for detonation? The history of the Liebknecht Portal will be reconstructed from newspaper articles, eyewitness reports, literary depictions, construction files and planning sketches – from the appearance of the workers’ leaders in front of the Palace entrance to the presentation of the balcony scene in the GDR’s interpretation of history. The project is funded by the Foundation Berlin City Palace – Humboldt Forum. 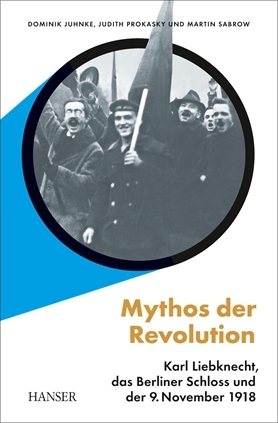 Publication: Dominik Juhnke/Judith Prokasky/Martin Sabrow, Mythos der Revolution. Karl Liebknecht, das Berliner Schloss und der 9. November 1918, Berlin 2018. Students of Public History at the Free University Berlin have designed and implemented the virtual exhibition ‘Continuities, Ruptures, New Beginning? Handling National Socialism in the Two German Interior Ministries, 1949–1970’. In doing so, they could draw on the findings of the research project on the post-war history of the Federal Ministry of the Interior (BMI) and the Ministry of the Interior of the GDR (MdI), which is jointly conducted by the Institute of Contemporary History Munich – Berlin (IfZ) and the Centre for Contemporary History Potsdam (ZZF). The virtual exhibition tells ‘history with stories’. Short biographies provide an insight into the careers of senior personnel from both German interior ministries. It is closely intertwined with the thematic focal points, offers a multifaceted approach and brings historical processes to life. Above all this hovers the central question of what ‘incrimination’ means. In an interactive survey, your personal opinion is sought. The exhibition ‘Continuities, Ruptures, New Beginning? Handling National Socialism in the Two German Interior Ministries, 1949–1970’ was opened on 26 June 2017 in the BMI by Federal Minister of the Interior Thomas de Maizière. The exhibition ‘Waldsiedlung Wandlitz: A Landscape of Power’, which was developed by the ZZF in collaboration with the municipality of Wandlitz, could be visited in Barnim-Panorama Wandlitz from 12 May to 9 November 2016. It provided insights into the political style and lifestyle of the GDR’s leadership elite and documented the consequences for the region of the forest settlement and the security regime associated with it. 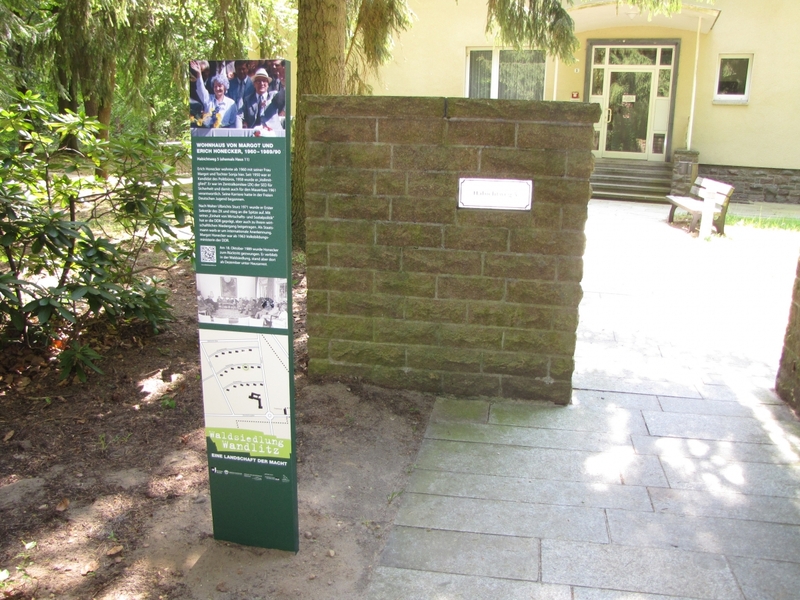 Furthermore, on the grounds of the former Waldsiedlung, information shafts have been erected, which provide information on the history of the Waldsiedlung, which was established from 1958 and used by the SED’s top functionaries until early 1990. Publication: Jürgen Danyel/Elke Kimmel: Waldsiedlung Wandlitz. Eine Landschaft der Macht, Berlin 2016. 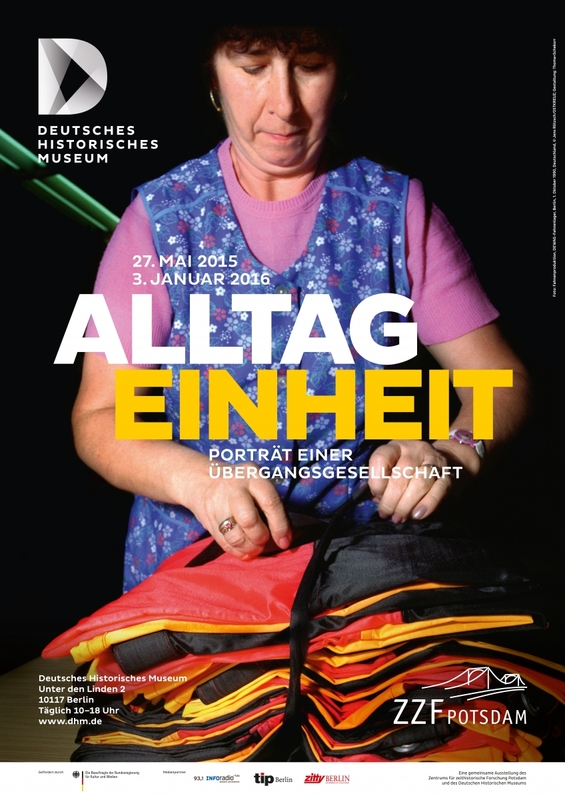 The ZZF, in collaboration with the German Historical Museum, developed the exhibition ‘The Daily Routine of Unification: Portrait of a Society in Transition’ and a catalogue of the same name. From the linguistic shifts to the dramatic changes in the world of work, from consumerism via the reciprocal perceptions of East and West Germans to the cultural upswing after the fall of the Berlin Wall, the exhibition provides insights into the everyday, cultural and experiential world of a German society in transition during the first half of the 1990s. The exhibition was opened in May 2015 and, following an extension, ends in February 2016. From 19 August to 12 November 2014, the tweets, wherever possible in real-time, told the breathtaking events on the road to the peaceful revolution and the fall of the Berlin Wall: from the massive emigration of East German citizens and the problems of the diplomats in the overcrowded West German embassies in Prague and else where, the swelling citizens' protests and demonstrations in East Germany, the increasingly hectic reports of the Stasi, the threatening state bankruptcy of East Germany and the growing chaos in the communist party leadership up to the super-GAU in the history of the press conferences on 9 November 1989, the breakthrough of the Berlin Wall and the two days after. Located in the heart of historic Potsdam, the Lindenstrasse memorial site is a unique place of memory. With its history under National Socialism as well as in the Soviet Occupation zone and GDR, it is a symbol of the political persecution and violence practiced during two different German dictatorships in the course of the twentieth century. At the same time it stands for the efforts to overcome communist one-party-rule, and the victory of democracy ushered in by the Peaceful Revolution of 1989-90. The permanent exhibit on display today is the result of project work carried out between 2007 and 2013 by the ZZF and Potsdam Museum. This work was in large part supported by the Federal Foundation for the Reappraisal of the SED Dictatorship (Bundesstiftung zur Aufarbeitung der SED-Diktatur), the Ministry for Science, Research and Culture of the State of Brandenburg, and the Federal Commissioner for Culture and Media, as well as by the European Union, the cultural initiative “Kulturland Brandenburg,” the Brandenburg State Office for Political Education (Landeszentrale für Politische Bildung), the “Lindenstrasse 54” association, and the Society of Friends and Sponsors of the Center for Contemporary History in Potsdam. Since 2008, the Potsdam Museum has set aside funds for work at the memorial site. Federal and state funding has enabled the memorial site to expand its visitor facilities. The site’s positive development has been accompanied by a steady increase in visitor numbers – from about 5,000 in 2003 to about 20,000 annually in recent years. The new permanent exhibition at the Seelow Heights Memorial Site informs visitors about the fighting west of the Oder at the end of the Second World War and the history of the memorial site since 1945. It was ceremoniously opened on 15 December 2012 by Federal State Governor Matthias Platzeck. 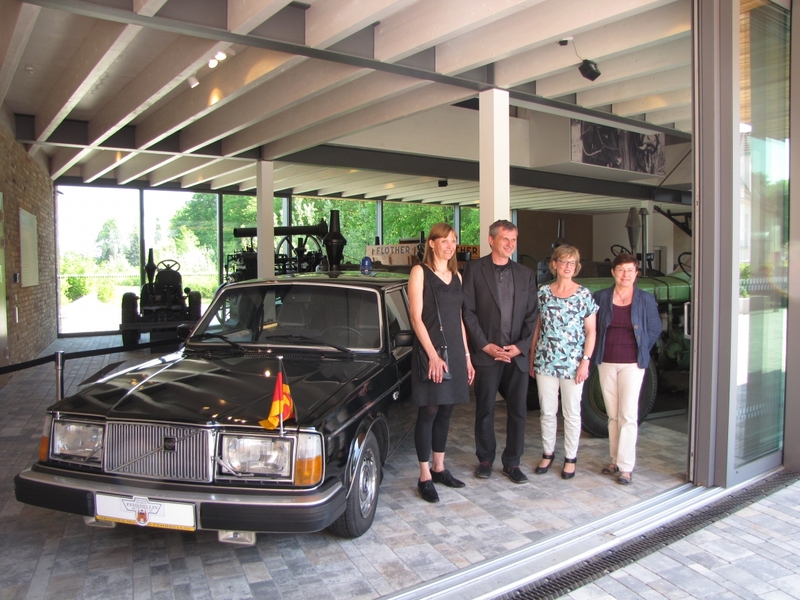 As members of the academic advisory board, Dr Jürgen Danyel and Dr Irmgard Zündorf from the ZZF monitored the development of the exhibition. The joint project ‘Illustrated Atlas: Art in the GDR’, funded by the Federal Ministry of Education and Research (BMBF) presented in 2012 the results of its three-year research and cataloguing work in the exhibition ‘Goodbye to Icarus: Visual Worlds in the GDR – Seen in a New Light’ (see photo) in Weimar’s Art Hall. In the exhibition and an accompanying website, the image database developed by the project group at the ZZF Potsdam will be presented using an excerpt. The database was used to catalogue the stocks of art works from 165 museums, collections, galleries, special depots and enterprises of the project partners. In February 2012, the permanent exhibition was opened in the Documentation Centre of Everyday Culture in the GDR, Eisenhüttenstadt. 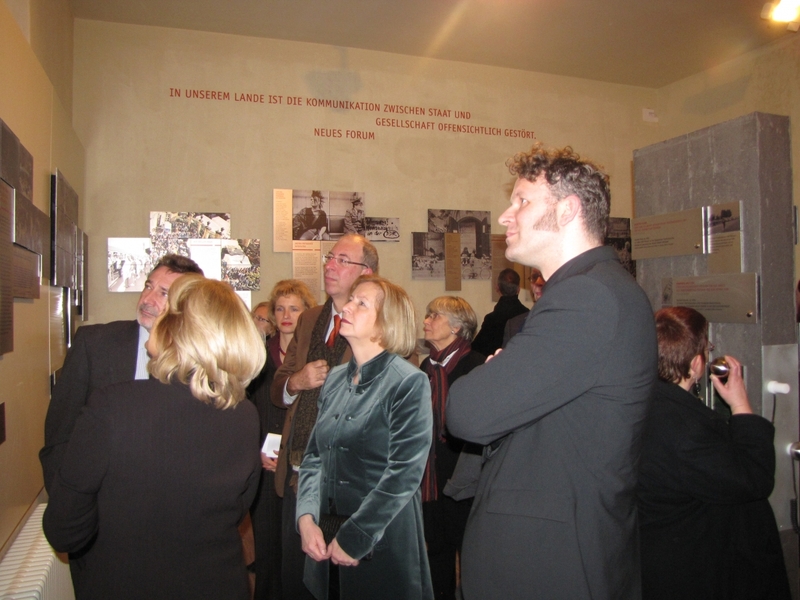 In October and November 2011, container exhibitions provided information on the history of migration using the example of Berlin. The Network Migration, a platform of academics and practitioners in the field of migration and integration, was instrumental in realising this collaborative project on the fiftieth anniversary of the recruitment agreements with Turkey. 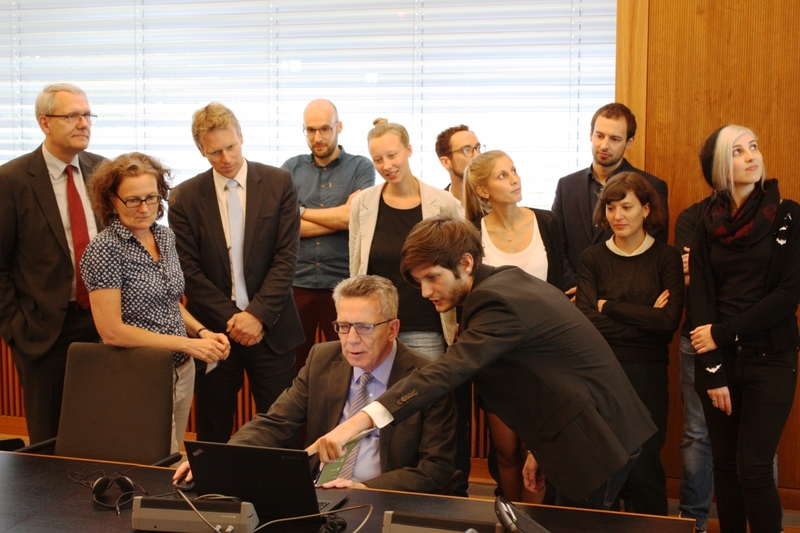 The ZZF was a cooperation partner together with the Public History degree course at the Free University Berlin. The exhibition The Pankow Powerholders was opened in 2009 in the gatehouses of Schönhausen Palace in Berlin. 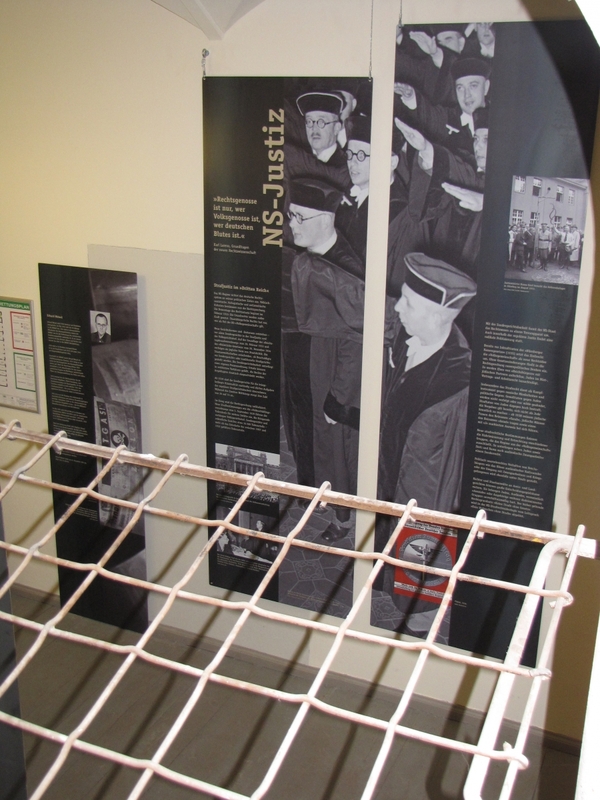 The exhibition was developed by the ZZF and funded by the Federal Foundation for the Reappraisal of the SED Dictatorship. In 2009, the exhibition ‘Towards a friend – towards an enemy: The Inner-German Border Crossing at Drewitz-Dreilinden’ was opened at and in the former Commandant’s Tower in Drewitz-Dreilinden together with the association Checkpoint Bravo.